Interesting feature: The front engine sticks out a little to this weird shape which makes it look like a strange looking flat front bus. Sorry there's no picture of it here, but on Rob's Bus Yard there's one he took from the same model year. 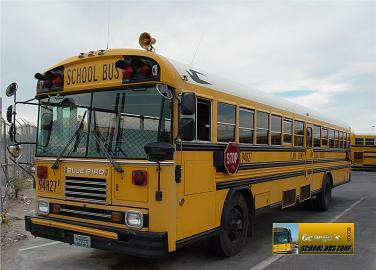 Interesting Stuff: This was one of the first TC/2000 buses that were bought to carry regular routes. 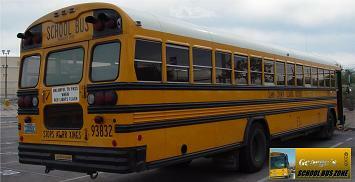 This bus is the same one I rode to school on in 6th grade!! 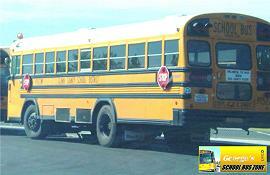 I just keep finding buses I rodeon when I was in school. 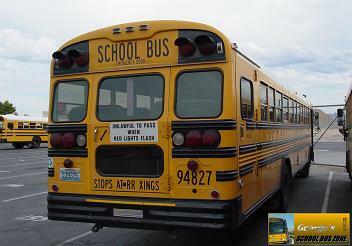 The crossing control arm (The wire on the front bumper used to make students cross the street a certain distance so the driver can see them) was replaced on this bus. I remember that 94827 crossing control arm was damaged when I rode that bus, but has the same one put on the bus when it was new, but this bus has the newer one (from what it had before). Interesting Stuff: This was the same bus I rode in 6th grade in the afternoon. I saw this bus when I passed by driving around to find a parking space. 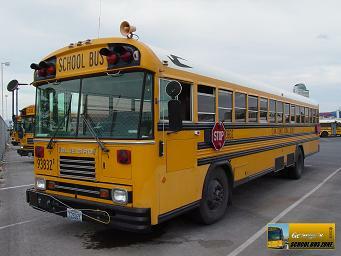 I also got the bus I rode in the morning in 6th grade, 93832. This bus had the side emergency door, rear emergency door, and door on the rear right side that says "No Exit." You notice the bus number says it's the 84 capacity for both. The "8" is the capacity, that same year they had a "7" also. I know you can't see the side well in the picture on the right (rear) because when I was about to take that picture, another 1994 TC/2000 pulled in to the right. But you can see the side of the same model in the same picture in the background (a little bit).